Nature`s Answer alcohol-free extracts are produced using their cold Bio-Chelated proprietary extraction process, yielding a Holistically Balanced Advanced Botanical Fingerprint extract in the same synergistic ratios as in the plant. Reishi (Ganoderma lucidum) Fruiting Body Extract, Vegetable Glycerin, Purified Water. As a dietary supplement take 1ml (28 drops) three (3) times a day in a small amount of water. Shake well before use. 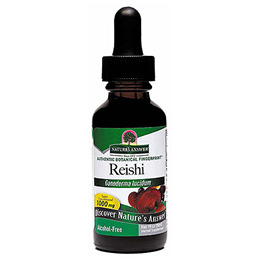 Below are reviews of Nature`s Answer Reishi - 30ml by bodykind customers. If you have tried this product we'd love to hear what you think so please leave a review.